My career in pharmacy began in 2012 when I started working as a pharmacy assistant in the Life Pharmacy Group in Canberra. Whilst in this role I was studying a Bachelor of Pharmaceutical Science at the University of Canberra. With inspiring pharmacist colleagues as mentors, I was hooked on pharmacy and felt that the natural progression for me was to continue on to study a Master of Pharmacy. I was then lucky enough to begin my internship placement at Lanyon Pharmacy, within the same pharmacy group that I had got to know as a student. After speaking with past interns and discussing with my preceptor, I chose to enrol myself into The Pharmacy Guild of Australia Intern Training Program. At APP2018 I was honoured to be announced as the MIMS/Guild Intern of the Year. This award has given me incredible opportunities to further my education and become a positive advocate for the profession. I have been able to plan attendance to a number of conferences to aid in my professional development, and network with others in the field. 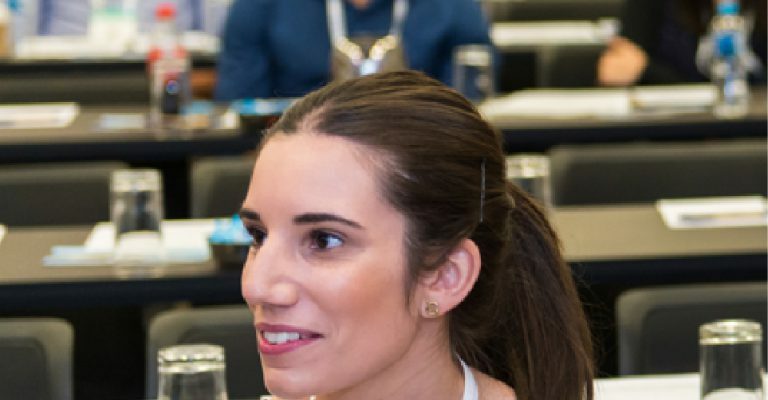 The APP conference is arguably the biggest networking event on the pharmacy calendar, and this year was particularly special for me. Being able to exchange ideas and inspiration with like-minded professionals was a definite highlight. Being named as the MIMS/Guild Intern of the Year has also given me a voice that means that I can hopefully inspire other young pharmacists, interns and students, to embrace the profession and the future that it holds for them. I believe that this award recognises my passion for community pharmacy and enthusiasm for shaping the somewhat unknown future that lies ahead. The expanding role of pharmacists is an exciting prospect for me. I am passionate about providing services that are able to add to what patients may already be receiving from other healthcare professionals. Our scope has now broadened so that we are able to have pharmacist CDE’s, pharmacist vaccinators, pharmacists in GP clinics and more. In the near future, I expect to see our role in patient care evolving further in the same direction. 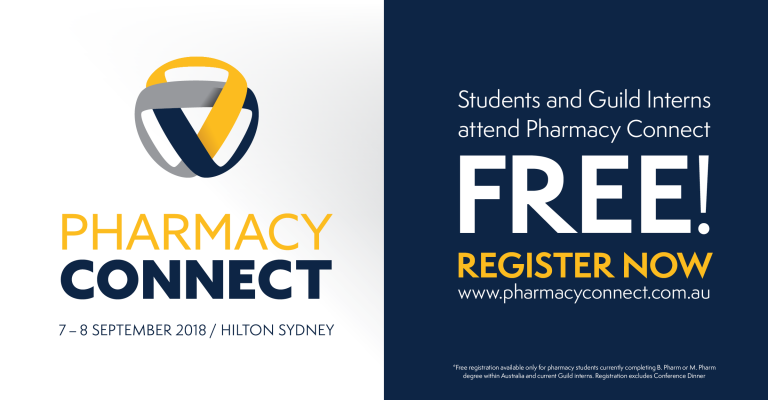 Pharmacists are highly skilled, highly accessible healthcare professionals, and I think there is a great desire within our profession for further education and specialisation in particular areas of health. I believe that this will result in different pharmacies becoming health destinations for their particular specialist area. This in turn may open these pharmacies up for referrals from specialists, GPs, or other healthcare professionals. Areas of specialisation may include men’s and women’s specific health, diabetes care, asthma education, weight loss, mental health – the list is endless! I would encourage all current and future pharmacists to find their passion and seek out opportunities to involve themselves further within their patients’ health journeys. My number one piece of advice for pharmacy students is to immerse yourself in pharmacy as early as possible. Working in a dispensary can prove to be highly advantageous to your studies. Be sure to ask plenty of questions from your pharmacist colleagues as they’re the best people to give you real-life knowledge and experiences. 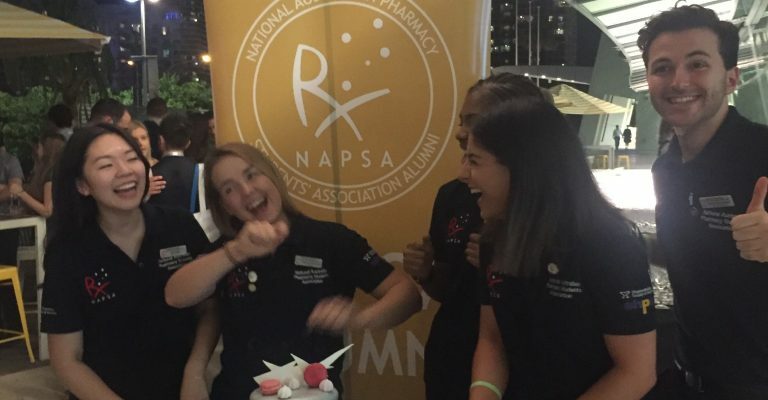 Becoming an active member of your local pharmacy association and NAPSA will provide you with a network of great like-minded people who may even become colleagues in the future. Do plenty of research when choosing an intern training program and place of practice, as this may be crucial in shaping your pharmacy career. The Guild ITP and Lanyon Pharmacy was a perfect fit for me. The support I received whilst balancing study, work, a social life and a newborn son made my year much more achievable. Currently I am working at Cooleman Court Pharmacy, A.C.T within an amazing team of supportive and innovative pharmacists. We pride ourselves in providing a high level of professional services covering many areas of health. I have found a passion in men’s health so one of my goals is to engage in education opportunities within this area and equip myself to provide a higher level of service to these patients. I also aim to be at the forefront of change within community pharmacy to ensure that the future is sustainable but also contributes to patient care in a greater capacity than ever.